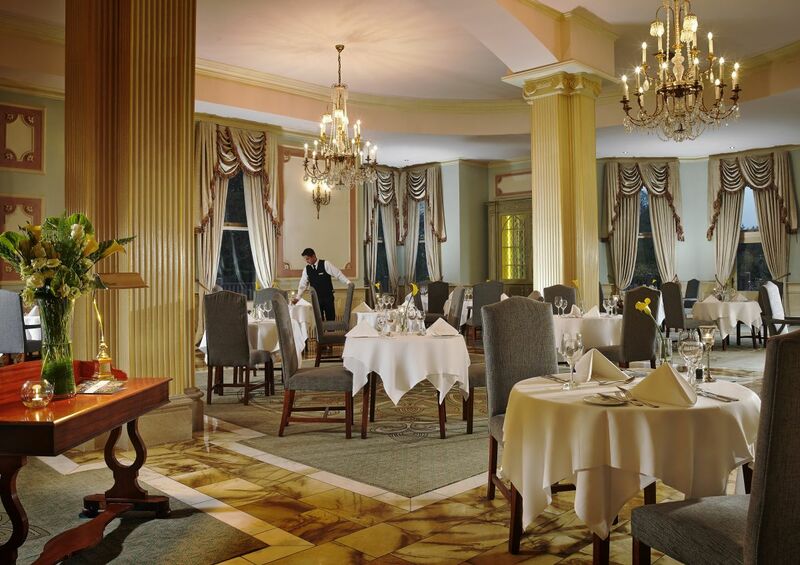 Turners Restaurant sets just the right tone for a memorable gourmet dining experience. 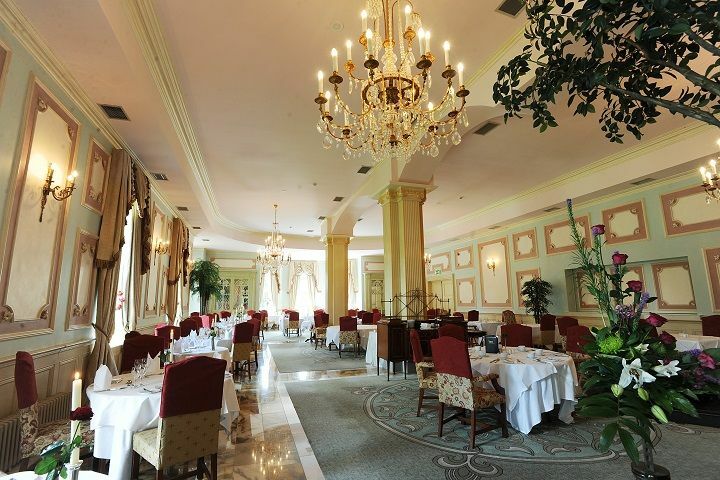 Its opulent furnishings and gorgeous chandeliers make any occasion extra special. Our menu has been carefully crafted, celebrating the finest local ingredients. Great food in a beautiful setting , excellent and attentive service also. The meal was excellent, really enjoyed. The service and atmosphere were at a very high standard. really cant wait to go back. The young waiting staff were lovely..Friendly and helpful. Could have been more choice on menu but food was delicious! Wine expensive..thought a glass each could have been included with the Turners package deal. Overall was nice but I wouldn't be rushing back. Our group has one coeliac, one vegetarian and one chilli allergy. We told our waiter this at the beginning (I think his name was Stephen) and he accommodated us so well! He said that the amuse bouche was a fishcake with chilli sauce but he would sort out alternatives no problem. We ended up with two gluten free humus bites and one chilli free fishcake for the group and everything was delicious! He never made us feel like we were being awkward and was so friendly and helpful. The food was all absolutely delicious, and my cheese board came out with gluten free toast instead of crackers which was brilliant! Thanks so much for a lovely evening! We were amazed by the hotel. really enjoyed our stay there adn will definitely be returning soon. Accomodation is nice. Breakfast is lovely, however the quality of the food for both the lunch and dinner is poor..
2nd option chicken on the bone or something like that. I looked at the table beside us and as they had ordered and sent back most of it... I was glad I hadn’t ordered it. And the most embarrassing moment for you Killashee is the seabass.... to serve only one piece of the fillet is a disgrace. The poor kids serving in the restaurant had no training. Don’t get me started on the bar staff!! A disgrace, I’d sack the lot of ye! So sad for the most beautiful historical building. First time at hotel. We saw Christy. He was brilliant. Gorgeous food very tasty and great portion size. Very relaxing day after. Lovely walk around the gardens. We will surely be back for another visit. 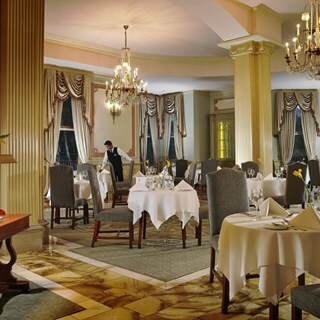 My group and I had a wonderful experience in Turners restaurant last Saturday. From the time we sat down, our servers were very attentive. The food was delicious & beautifully presented. Kara deserves a special word of thanks because I was dropping a birthday cake into the restaurant in the afternoon & she was so helpful & obliging. She also ensured our meal ran smoothly. So huge thanks to her. I’ll definitely be back & would recommend Turners for a group celebration. Everything incredibly nice apart from the temperature in the restaurant. Far too hot to enjoy my meal comfortably. Charging for coffee is a bit much given the basic cost of dinner. We had a really lovely evening in Turners celebrating my mams 80th Birthday. The staff were fantastic, very friendly and couldn't do more for us. The service was great. Thank you for making it special. If you're going to charge €35 for a bottle of Rioja then it should 'at least' be a crianza. It was disappointing for the price paid. The staff were incredibly friendly, Jack especially. Great service and food was deelish! It was my sister’s birthday and they brought and a cake and sang great athmosphers and our servers were lovely to chat to! The food was amazing. Every dish was well presented and really good quality. The staff were amenable and friendly. Really good value too. Terrible service. Very very slow.